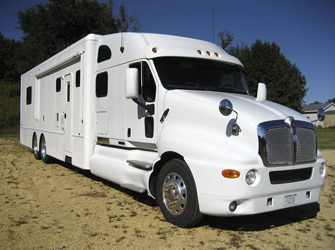 Equipped with a C-15 Cat Engine, 435 Horse Power on a 2003 T-2000 Kenworth Chassis. 30' Motorhome + sleeper area converted from seating to sleeping! Sale Price: $159,000 - Discounted - READY TO GO! !